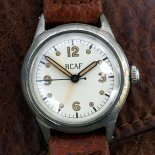 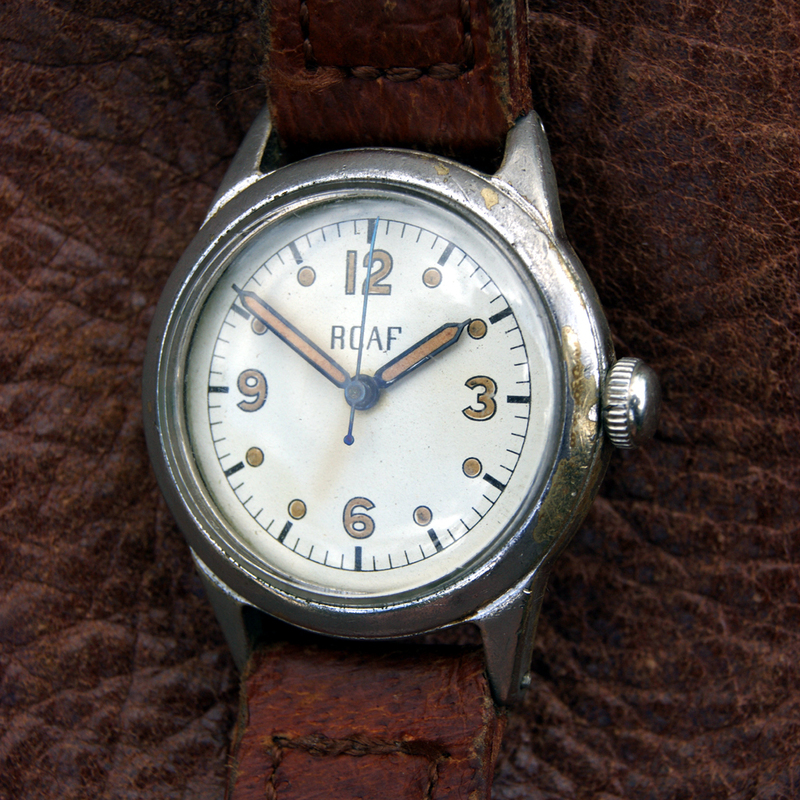 This watch is identical to the Waltham Type A-11 Navigation Watch but with RCAF issue markings and Blued Steel Hands and White Dials with Radium Markings. 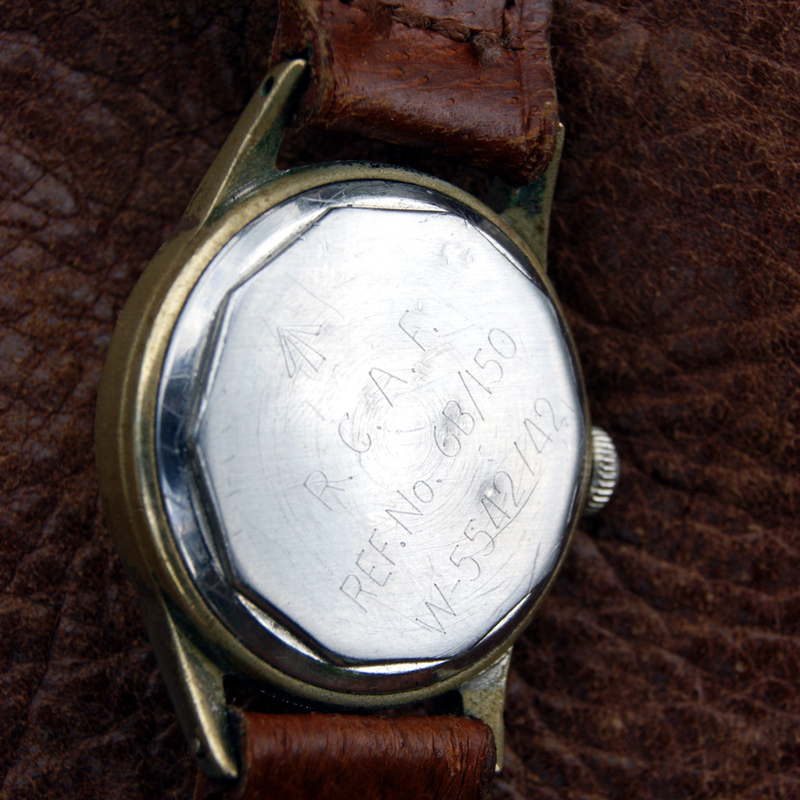 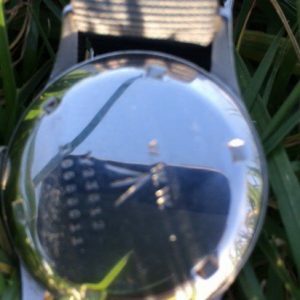 This watch retains its original 1942 6B/150 issue markings from WW2. However, these rare and beautiful Waltham Navigators watches had their original dials officially redone by the RCAF in 1965. 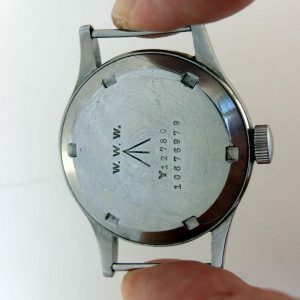 This watch was bought from Alberta, Canada. 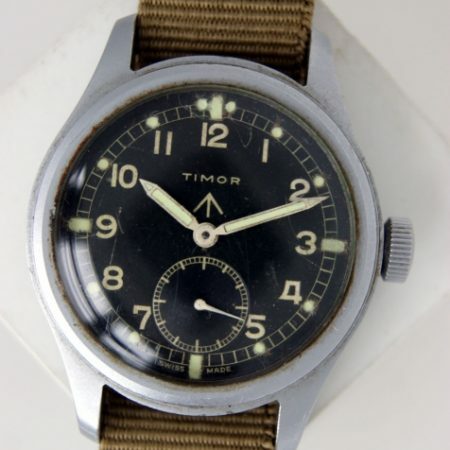 It was acquired from some military personnel working on the military air-force base in that region. 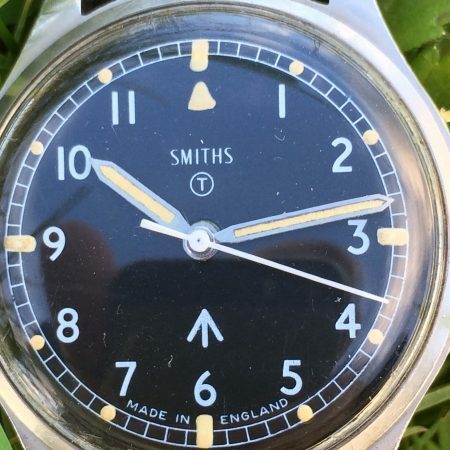 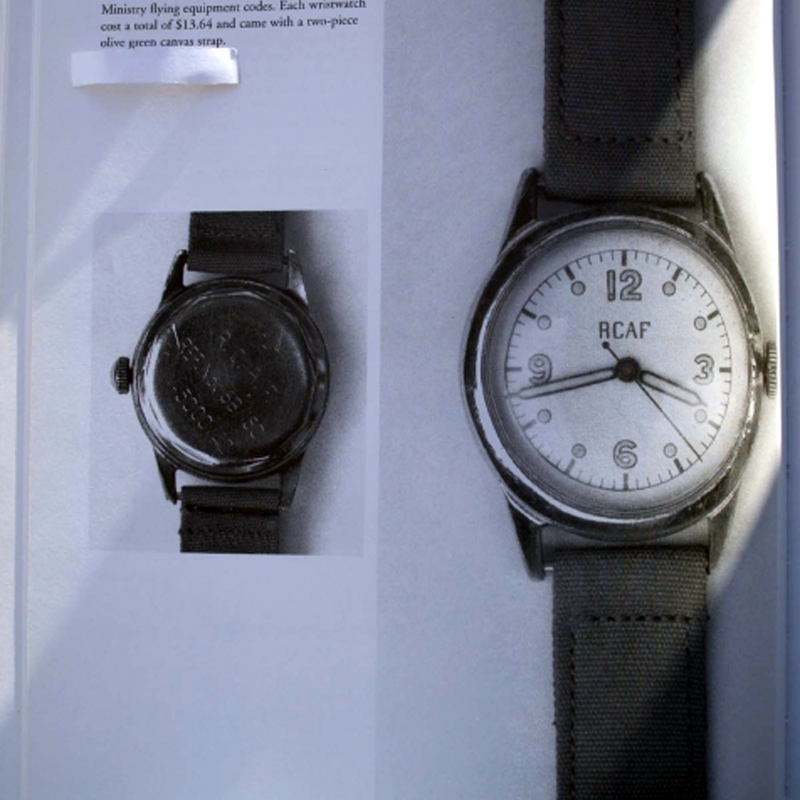 They are so rare that we have never seen another one “in the flesh” but one is illustrated on page 728 of Konrad Knirim’s book “British Military Timepieces” and on page 116 of Z. M. Wesolowskis Book – “A Concise Guide to Military Timepieces” (see picture 5). 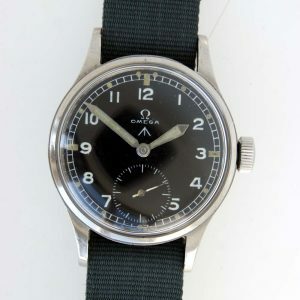 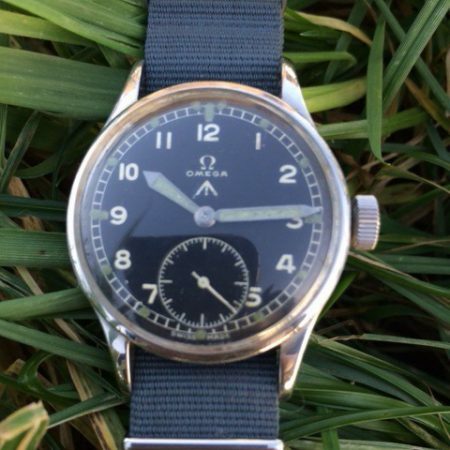 A great addition for any serious military watch collector.